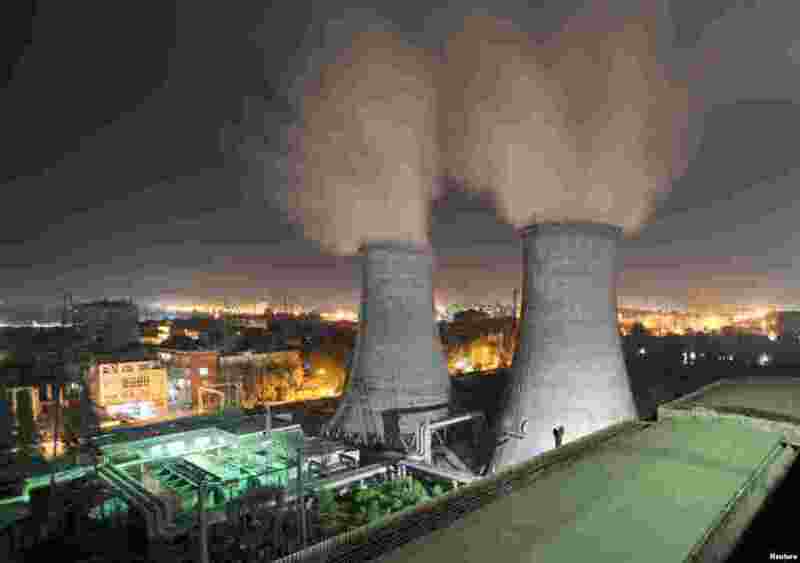 1 A coal-burning power station at night in Xiangfan, Hubei province, September 15, 2009. 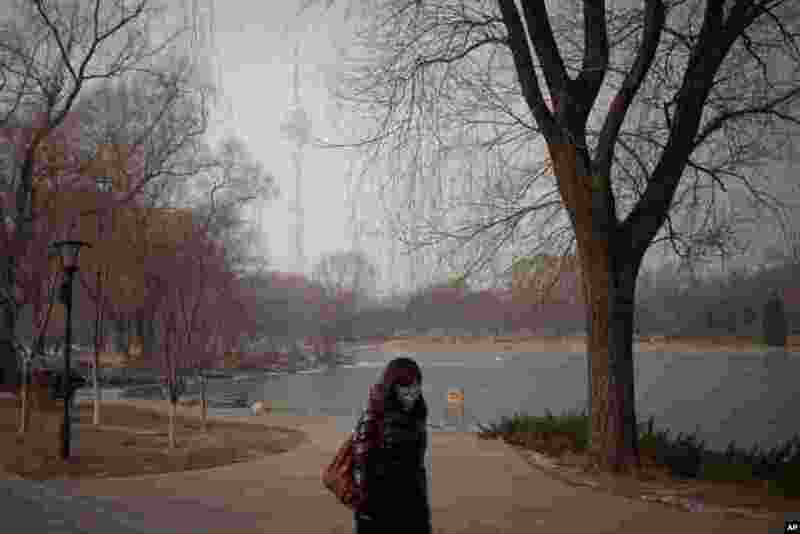 2 Beijing schools kept children indoors January 14, 2013, and hospitals saw a spike in respiratory cases following a weekend of excessive pollution in China's smoggy capital. 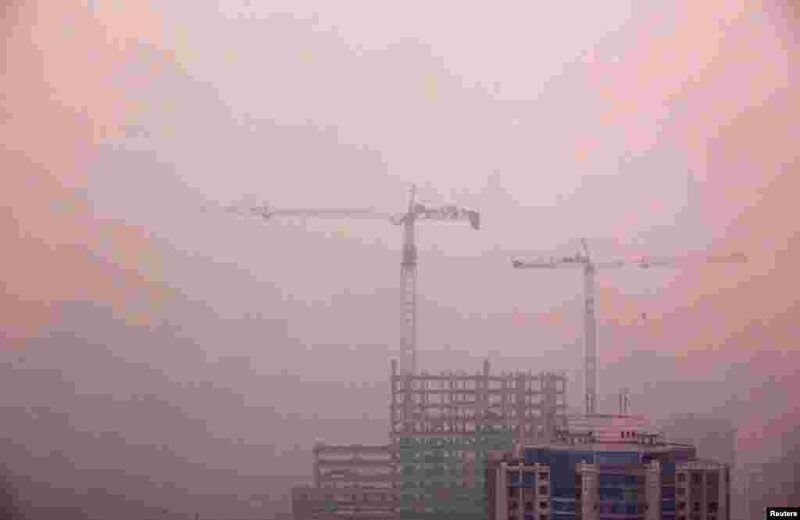 4 Cranes atop a residential building under construction in central Beijing, April 18, 2012.